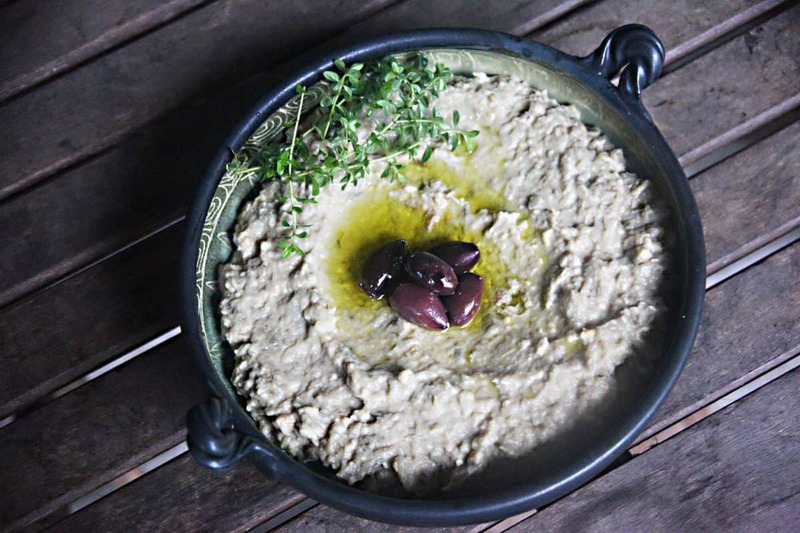 It makes us think of warmer times and climes, but baba ganoush is a wonderful appetizer to make with the bounty of eggplants around right now. Pierce the eggplants with a fork and grill for approximately 15 minutes, turning regularly. They should be about 4-5 inches from the flame. Allow to cool a little so you can handle them, then peel off the skin and chop the flesh. Mash it further with a fork. Stir in the remaining ingredients adjusting the flavoring to taste. Spread in the serving dish and make a slight indent to pour in about a tablespoon of olive oil.